I really love this glass bottle decoupage project. I got this little glass bottle with one flat side and it suggested a wonderful decoupage idea to me. As you may see, the bottle has Eifel tower on its front side. I used a very nice vintage type of napkin for this decoupage idea. 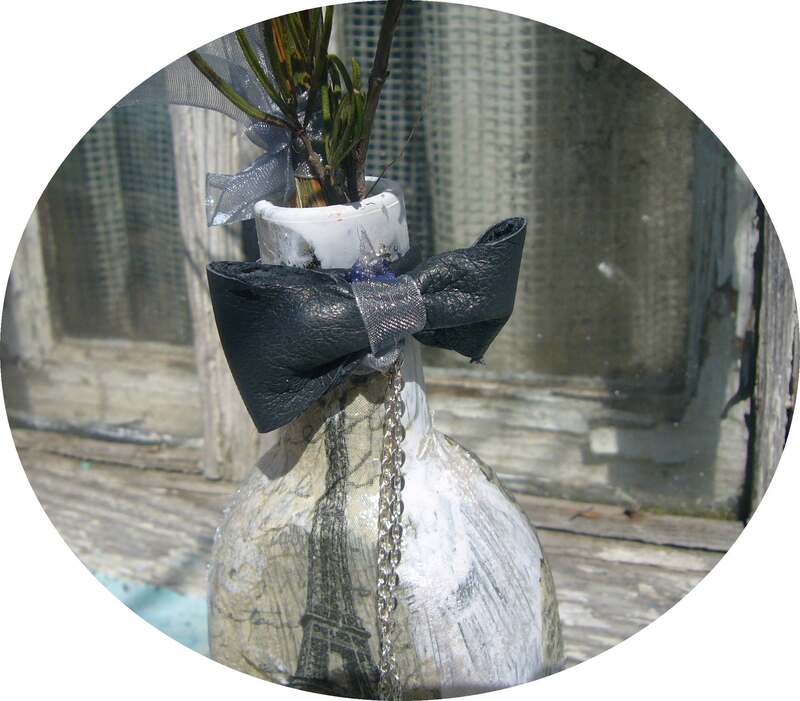 I have also made a small leather bow for the bottle and attached a short chain with a little silver key to it. 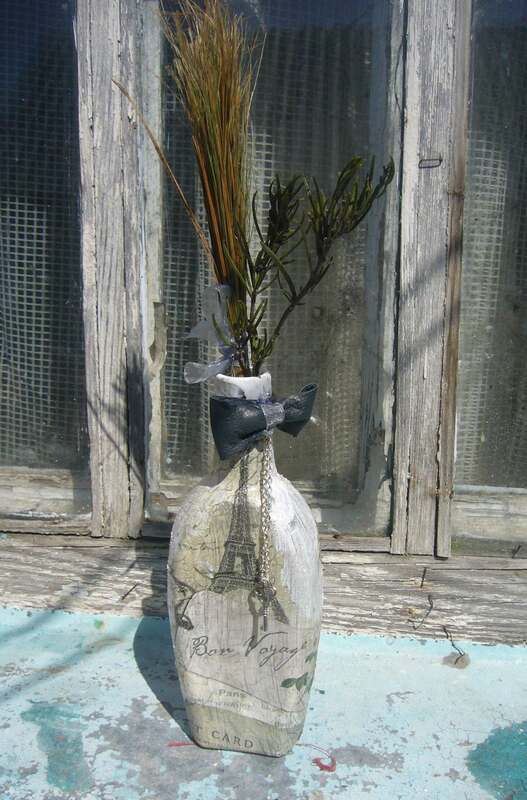 So, now I got a nice French style and vintage looking vase made out of recycled glass bottle with decoupage on it. 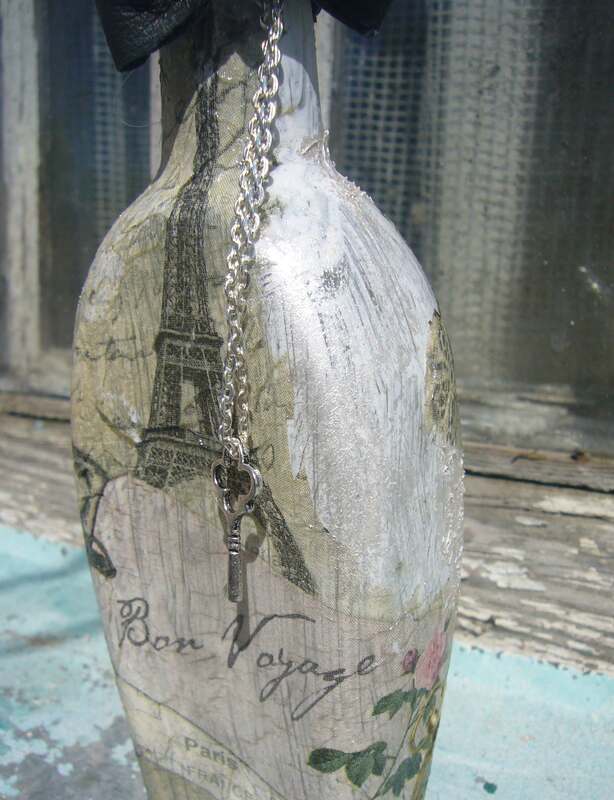 This entry was posted in Decoupage ideas, Uncategorized and tagged crafts, decoupage ideas, DIY, diy glass bottle vase, french style glass bottle vase, glass bottle decoupage, handmade, handmade vase, vintage bottle, vintage style decoupage. Bookmark the permalink.